”I want more! More platforms, more channels, more tools.” I hear this on a daily basis and it is great to want to expand your business and get your products in front of the world. But, when I hear this comment with such enthusiasm, my reply is simple: “Do you have a website?” The majority of these people do, however it is shocking the amount of people who don’t sell items from their own website. Think about this, it is your website, you can do what you want and how you want, why not sell your items there? StoreFront is an online shopping cart CrossPostIt gives you access to. It works by providing you with a unique URL that will allow your customers/prospects to shop your inventory. 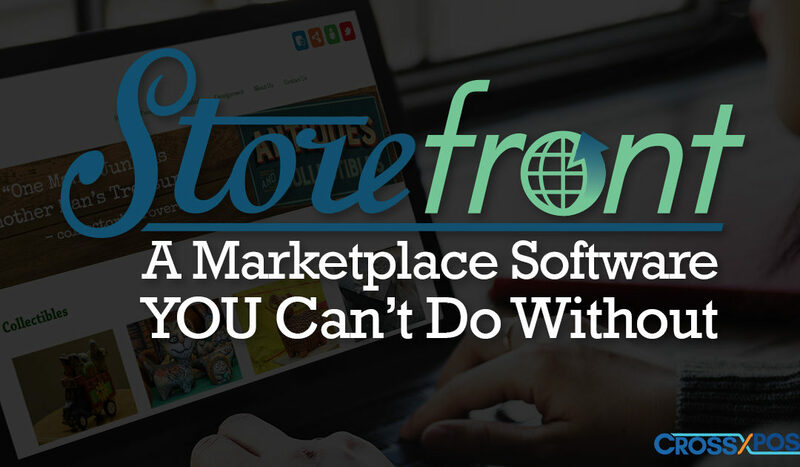 The layout of StoreFront is easy to use and gives you the freedom to sell items the way you want. You can create your own content tabs, let your customers/prospects know about your business and share your polices. Create categories and subcategories to make it an easy and convenient shopping experience. Checkout is a breeze and completely secure, StoreFront allows for PayPal or Authoize.net checkout. Seems simple, right? Here are a few features that will help customer retention and item exposure. Discount Codes: Create a custom discount code and put it in a receipt message for your customer. Who doesn’t love seeing something tailored for them? Share your live items on Facebook, Twitter and many more. Anyone can email an item they think a friend or family member may be interested in, a link will be sent right to that item. When listing an item, you can put in Meta Keywords, this helps page ranking with search engines (Example: Item: IPAD Meta Description: 128gb, 3rd generation, apple, white, WiFi, AT&T). You can use as many as you want. Imagine how much money you can save as sales shift to your StoreFront, this will literally pay for the software.